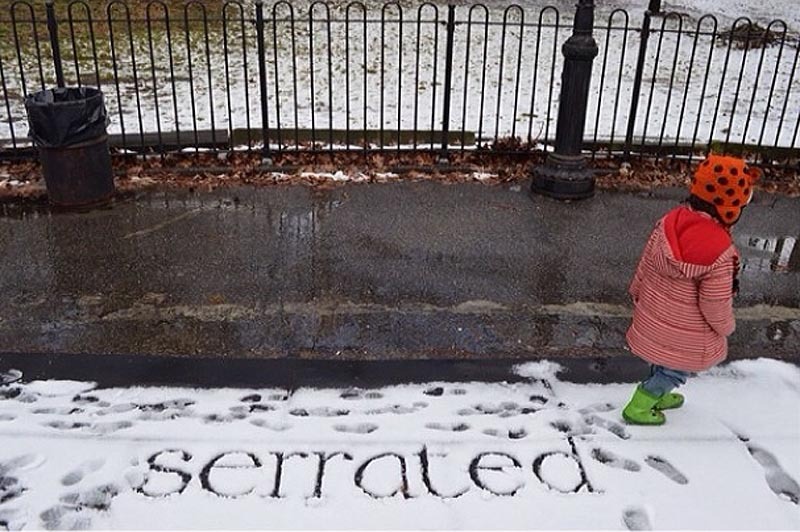 It’s been, and continues to be, a long and relentlessly snowy winter here in NYC this year, but Brooklyn-based author/illustrator Shelley Jackson is making the best of it. 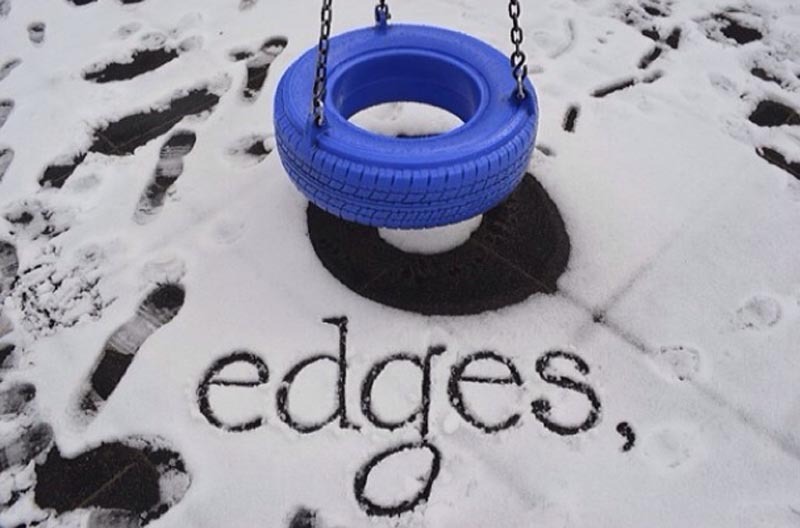 With admirable handwriting, Jackson has set out to writing a story in the snow—one word at a time—photographing each one and posting them to her instagram. Reading from oldest photo to newest, you can follow the ongoing story, waiting with bated breath for the next words to appear. Photos, it seems, are posted in relatively large batches roughly once a week, so maybe you can get a sentence or two in at a time. Story aside, the photos themselves are lovely, with great composition and a splash of color here and there. This is not the first time Shelley Jackson has taken to story-telling a word at a time; SKIN, a story published in tattoos on the skin of 2,095(!) volunteers is a previous project. You can follow SNOW (in reverse order) over here, “weather permitting”, but from the looks of things outside, that shouldn’t be an issue…this could end up being a multi-volume story. This entry was posted in Art, Fun, Graphic Design, NYC, Photography, Street Art, Stuff We Like, Typography. Bookmark the permalink.